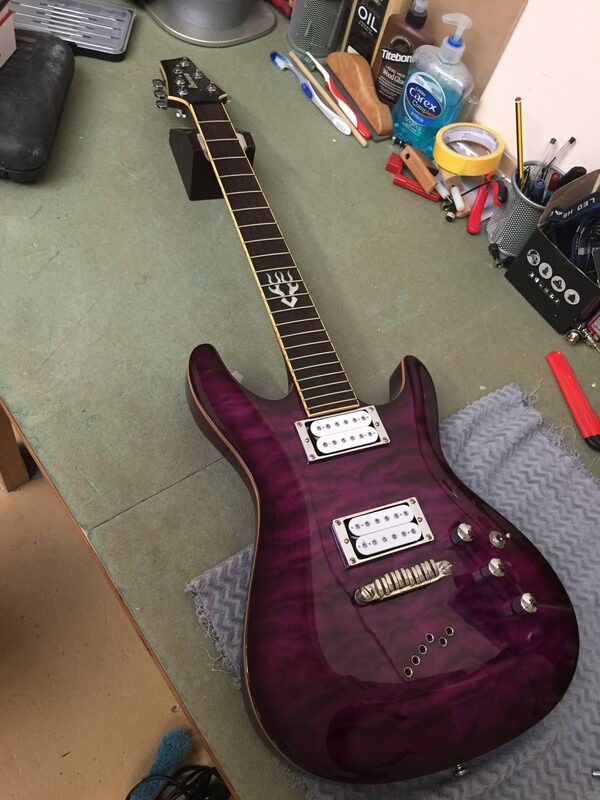 I had a customer pop down this week who wanted to change a set of tuners for a locking set. 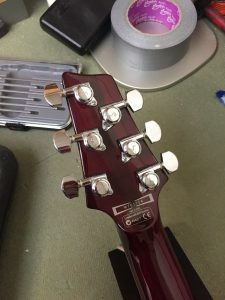 His Ibanez had the standard GOTOH SG381 machine heads that came with the guitar originally and he wanted a locking set that would be a straight swap for those. We went through the options available and he decided to go for the Schaller M6L 3+3 Machine Heads. These particular Schaller Locking Tuners have a slightly higher gear ratio (18:1) and have the screw mounted at the same 135° angle – the perfect set! Here’s how the Schaller Locking Tuners looked after I fitted them. How nice are they?! They have the Large Metal buttons that typically come with 3+3 sets of tuners. Notice how close the treble side tuner buttons (E, B, G strings) are to the headstock! 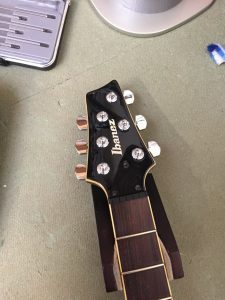 Using Hipshot as Grover Replacement Tuner Buttons?